Some day I will bring out those calligraphy pens again. One of my Paris floral photos. Such a tender bloom. Chanel. Coveteur. 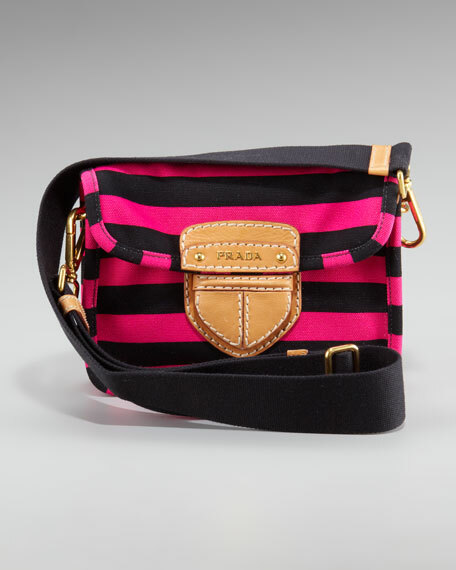 For Grown Up Ladies. 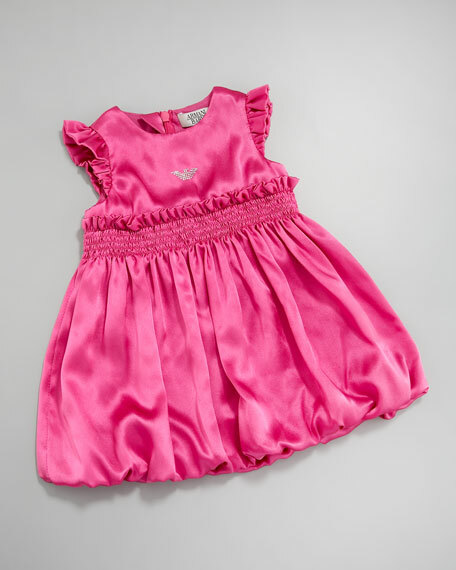 For Little Ladies. Armani Junior. 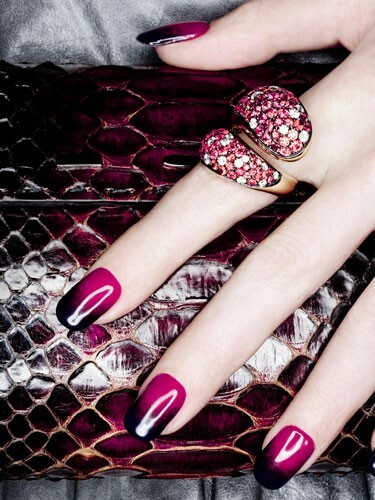 Have you noticed nail art is making a comeback? 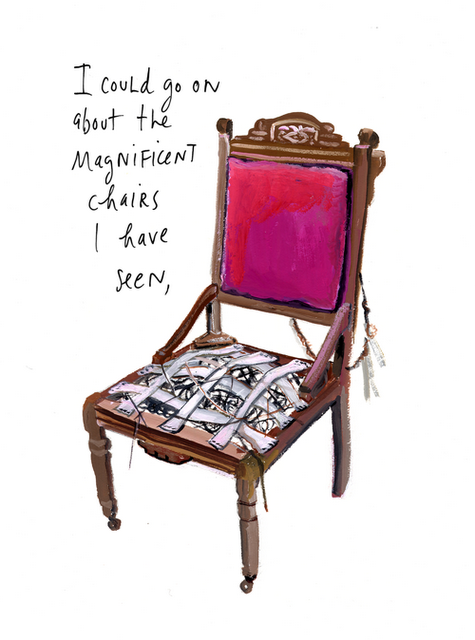 Fascinated with artist Maira Kalman. Her drawings, her musings, her monthly blog for the NY Times, go see here. More summer. Oscar de la Renta. This is how I imagine our brains must look. All the faces we have seen and known. I have promised my son that I will not dress up our dog in any way. Another floral photo I took in Paris last September. Final day in Paris, something I ran across this morning. My back had finally given out and I reclined on a stone bench while my sister-in-law went in to Monoplix and I looked straight up and saw this. Perfect. Done. 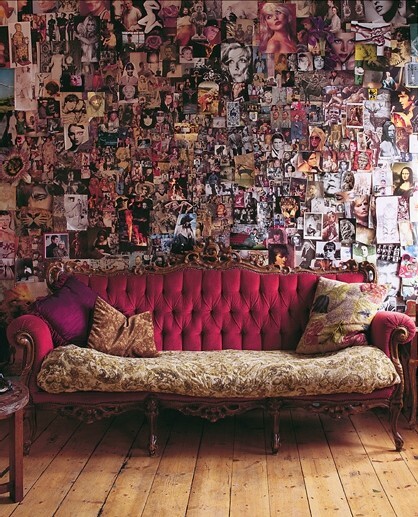 I love the jolt of colour and especially your images taken in Paris. Ah, de la Renta! Would love to have it. i just love fuchsia colour! Great photos. Fuchia is my favorite! 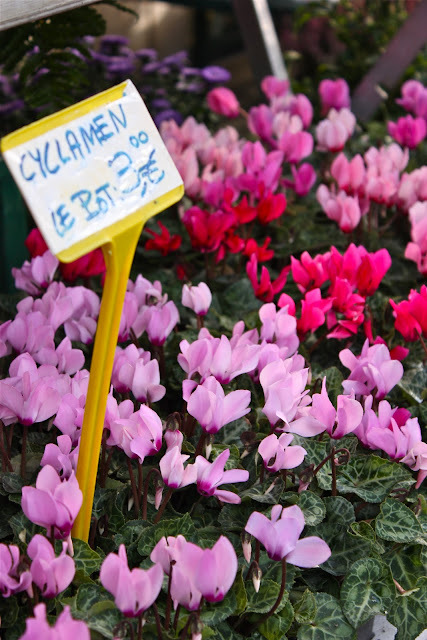 The cyclamens are out in the Parisian flower shops as we speak. I love these fuchsia finds and your photos from Paris. Absolutely lovely and just what was needed on this gray Monday! So much pretty. The type on the books is amazing. That would be a lovely gift for anyone! Fucshia is the second non-primary color I taught Amelia (second to aqua) and she has been able to identify this colour for quite some time. Monday, while standing in the check out line at the supermarket, a woman was talking back and forth with Amelia and asked Amelia "What color is your sweater?" When Amelia paused and then replied "Fuschia" The lady looked at me, raised her eyebrows and said "Mommy, you're doing a good job with her." Needless to say, the color fuschia reminds me of my little sponge who is ready to learn anything. The last shot is great, I can picture you "reclining" on that stone bench!! 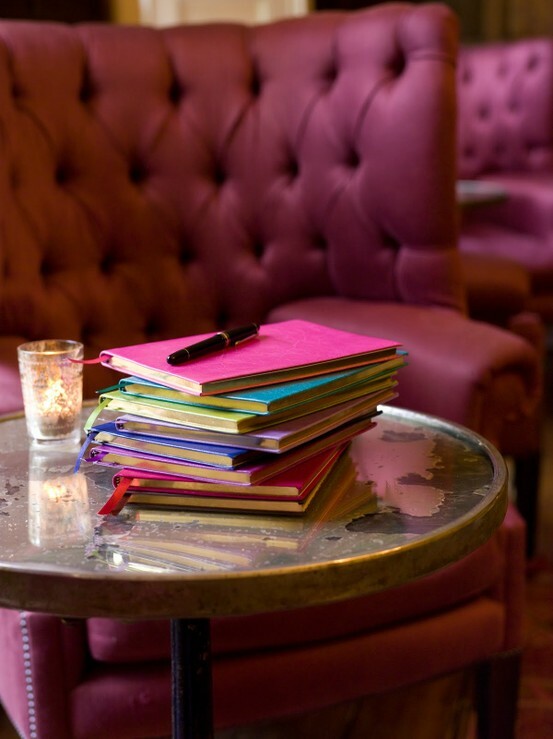 ps that pink book with inscription is just beautiful. me again..your comment made me laugh...mmm very much more than a romantic interlude indeed ;) I think we were intruding. Absolutely stunning... however, I'm not sure about the poor little dog with the ears!!!!! I'm back! Computer issues resolved. I love this color....may I have that Oscar dress please? It would look so good on me! Went for a ride today....wish you were here! Oooooh! Design, fashion & lovely wrapping ~ I've found the perfect blog! Wow! Awesome photos! Thanks for the inspiration! 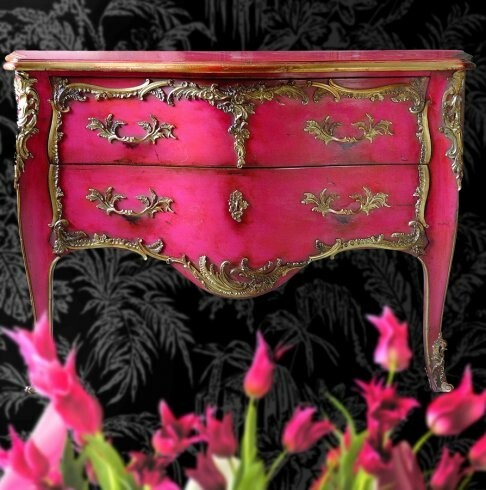 Gorgeous color to start my day...the french chest is fabulous!! I love the birdie - that's my favourite picture!! Thank you for sharing! 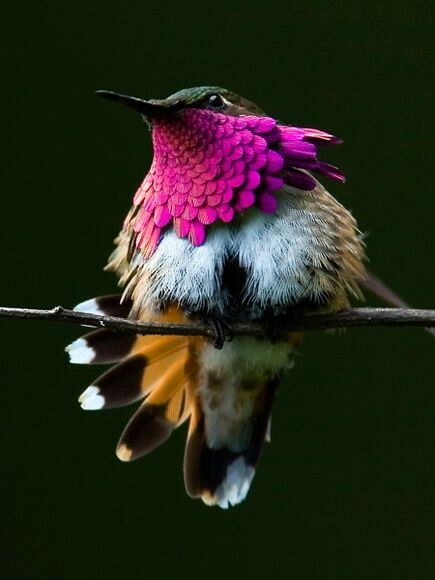 I'm not normally a fan of fuschia - but you may be changing my mind - such beautiful shots - all!! 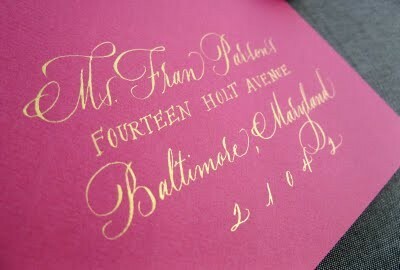 I've been threatening to take out the calligraphy pens as well - that invite is gorgeous!! re comment. That is sooo funny, I know what you mean about the scary chicks. 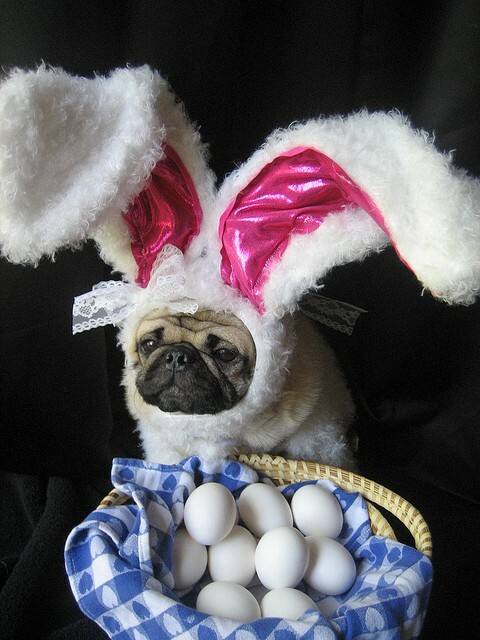 every image is divine, but the pug/bunny endears me. i'm partial to those pug-nosed beauties...my sweet little 14 year old puglet is snoring in my lap as i (try) to type.